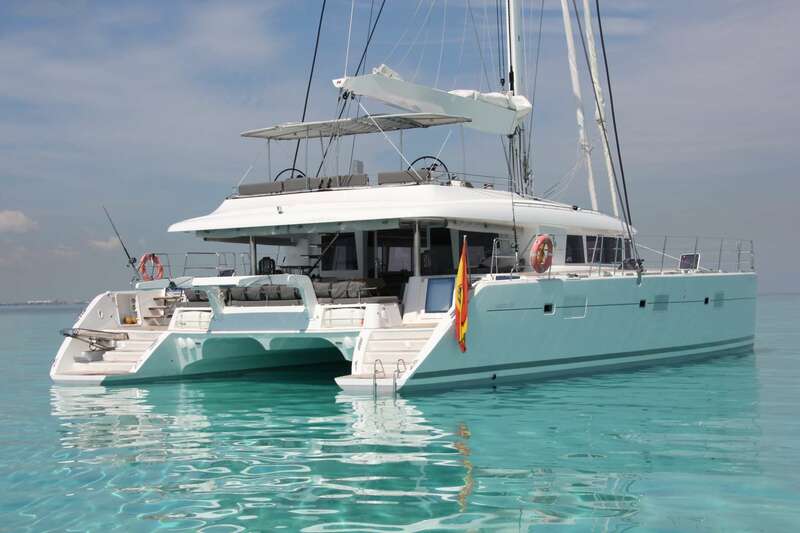 FIREFLY is a Lagoon 620 catamaran that was launched in mid-August 2011. 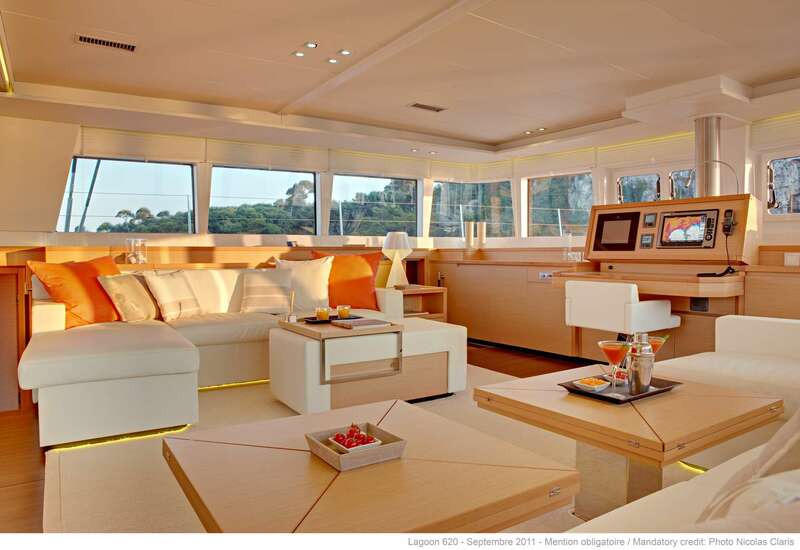 She was the first hull featuring an all new and significantly improved interior layout combined with a more contemporary and modern furniture design developed by Nauta. 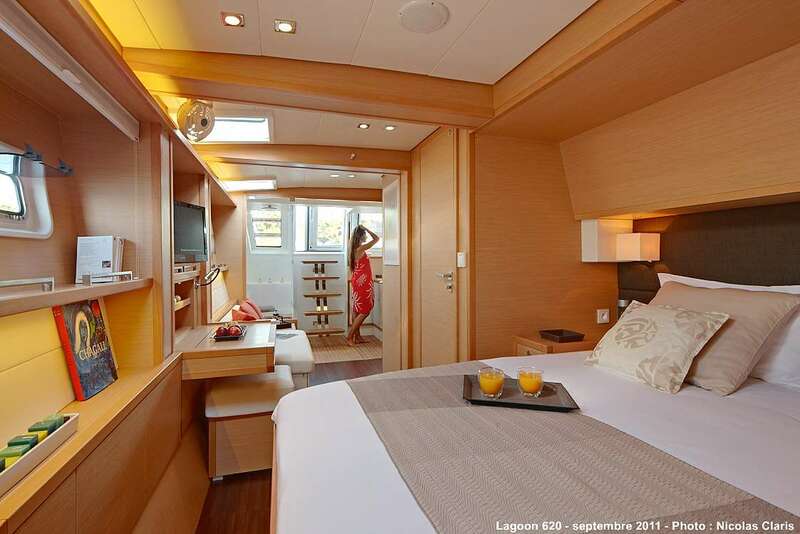 The new layout has opened up more living space below deck, allowing you to enjoy your time aboard in total luxury. 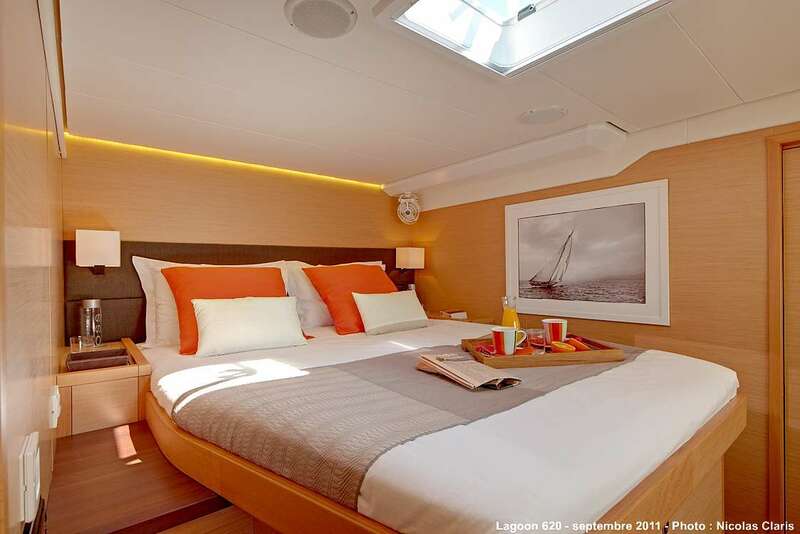 Firefly accommodates six guests in three cabins with queen beds all with ensuite bathrooms. 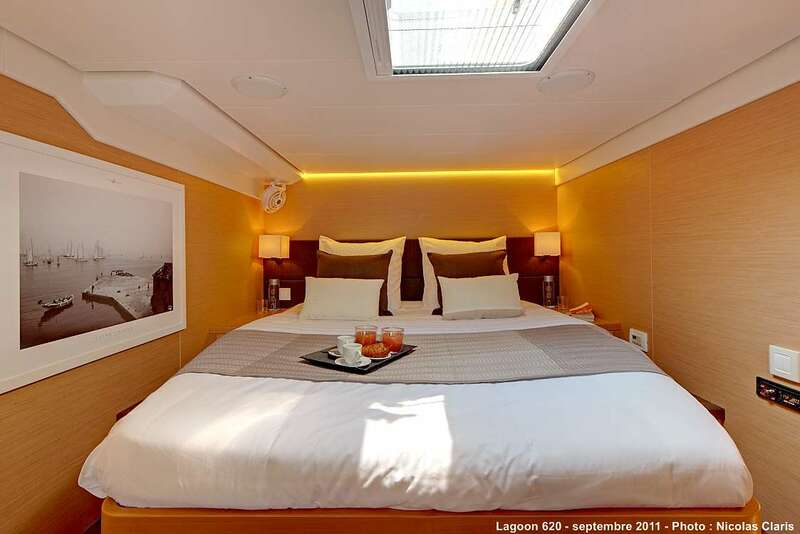 The master cabin has two entrances (from the deck and from the saloon), a queen bed, a nice sofa, a desk. All cabins enjoy a flat TV& DVD. 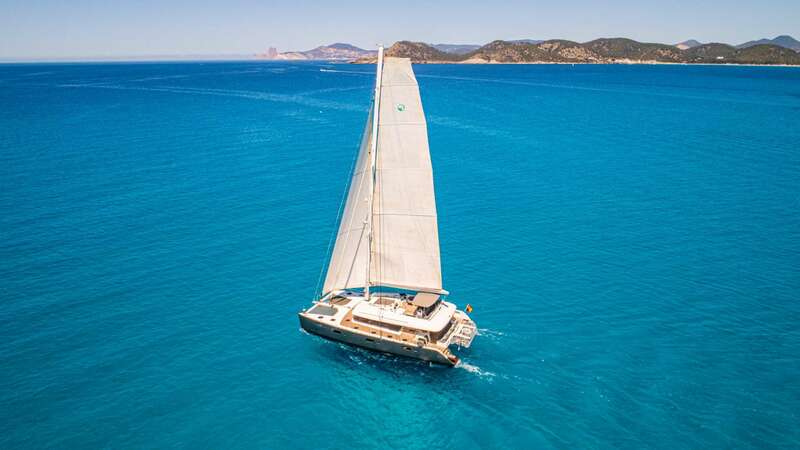 Join the warm and welcoming of a very professional crew of 3 and enjoy an experience that you will normally find on much bigger yachts and larger crews. 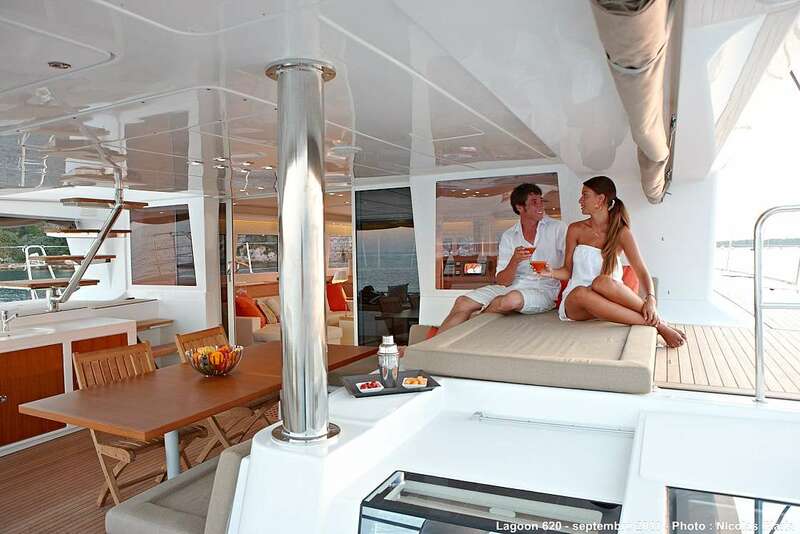 A yacht and crew clearly devoted to fulfill all your needs and expectations! All pictures, except when specified, are Firefly's. 2 double cabins with ensuite bathroom and head. 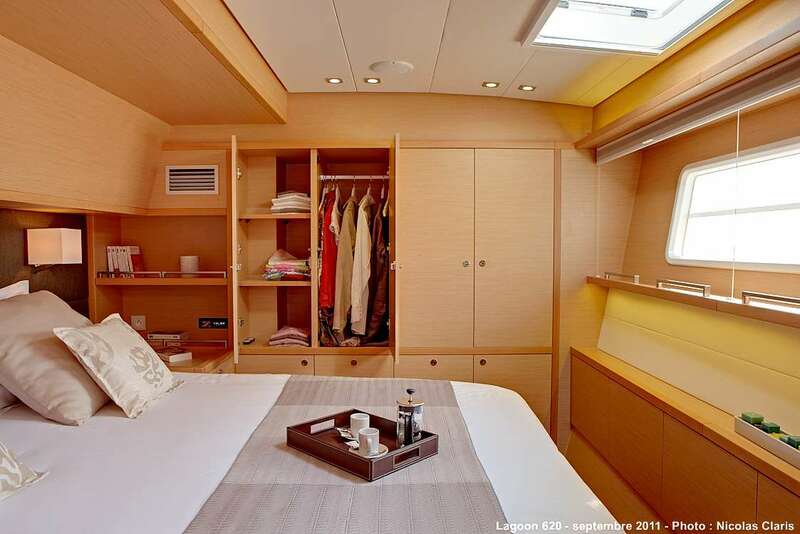 1 Master cabin, equipped with a sofa and large closets and drawers. Her spacious bathroom ensuite (with separate heads) has an independent access to the cockpit. All beds are queen size with dimensions 81"x63". In every cabins: A/C with private control, plugs (whom 1 for the shaver), hair dryer, TV sets & DVD readers, Iphod docking station.